A powerful alliance of REALTORS® and REALTOR® Associations working to protect and promote homeownership and property investment. REALTORS® positively impact their neighborhoods by promoting real property ownership and strong community development. As a trusted resource int he community, REALTORS® are natural advocates for homeownership and real estate issues. REALTORS® mobilize to make transformational, lasting change at the local, state, and federal levels of government.  RPAC is continuously perfecting its craft to elect pro-REALTOR® candidates across the country. The National Association of REALTORS® (NAR) is working to be at the forefront of discussions as Congress and the White House seek agreement on a comprehensive national infrastructure package next year. The effort to ensure the voice of REALTORS® is heard as the federal government turns its attention to infrastructure as a top federal public policy priority of NAR in 2019.  Other priorities include making recent tax law changes better and ensuring REALTORS® have a leading voice in efforts to reform the country’s secondary mortgage market. The priorities were announced at the 2019 REALTOR® Party Training Conference in Minneapolis. Infrastructure ranked high on the NAR Member Survey and is expected to be one that Congress and the White House will take up in 2019 and it’s crucial that REALTORS® be leaders in the conversation. Alternative credit models such as rent payment history will be a focus as NAR works to improve access to credit. NAR will also educate lawmakers about the importance of protecting the availability of 30-year, fixed-rate mortgage financing. The Insurance Committee will continue to work with the Federal Emergency Management Agency (FEMA) to finalize comprehensive reforms to the National Flood Insurance Program and modernize flood mapping. In addition, NAR will be working with FEMA to raise public awareness of disaster preparedness. 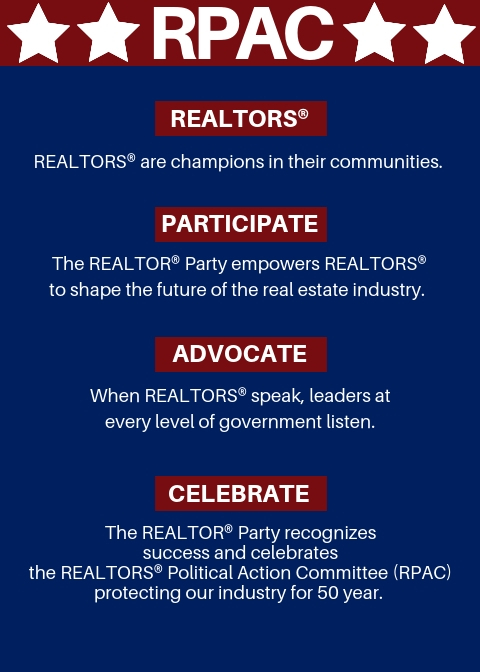 As the REALTOR® Political Action Committee (RPAC) celebrates 50 years, it is important for REALTORS® to get engaged in the political advocacy process. REALTORS® can stay up to date on the issues and Calls for Action by subscribing to REALTOR® Party Alerts.